From the top of inMotion Gaming’s highly anticipated games of the year list! We proudly present Tactical Intervention; A realistic shooter which comes from a long history of development from the infamous Counter-Strike. Tactical Intervention marks the much-anticipated return of Minh ‘Gooseman’ Le, the creator of the iconic Counter-Strike game. Minh is reintroducing some of the original concepts from the counter-strike series, like the riot shield, new twists and turns and enhanced gameplay at its best. 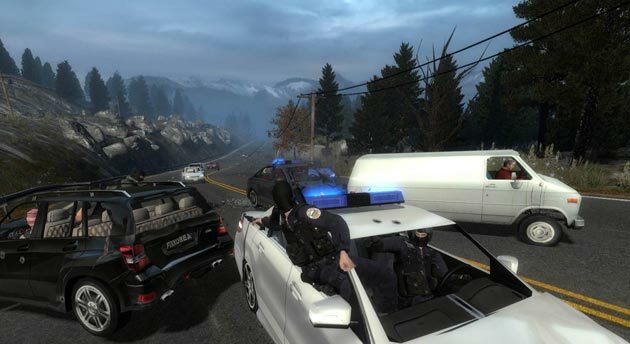 Team work and communication, the key ingredients to develop any relationship, are put to the test in what fans are now calling Counter-Strike 2. Tactical Intervention is the new Counter-Strike! The gameplay brings back fond memories. Strong team tactics and fast pasted action puts Tactical Intervention on my top ten games of all time! However, I do feel that some things need to be fixed. Some of the weapons are too nerfted, while some do too much damage. Also, the radar is WAY too over powered. Issues like this are to be expected though, which is why we do Closed Beta Testing! I am sure they will be sorted out before the official release. I do however feel that the game could have done with a few more weeks of work, and that they may have released it into closed beta a little too early. So for now, I’m giving Tactical Intervention a rating of 4/5 based on the issues mentioned above and a few other niggling things like too few maps etc. I will do a full video review when it gets officially released though, with a new star rating. Enjoy the game, and I hope to see you there! Where to start? I’ve been playing counter-strike for most of my life. It all started when I was ten years old and a well thought out lie to my mother! An older friend of mine had introduced me to steam. One night, I spent some time over at said friend’s house. He popped in a CD and typed in a few keys… I watched in awe. Little did i know I was about to be introduced to my holy grail! We sat, or rather he sat and I impatiently paced as would any kid with ADHD. Hours later, the game had finished installing… The introduction rolled, “This is way better than Mario!” I thought loudly to myself… okay… maybe I yelled it! The title menu showed up. ‘Join a Server’, and into a server we went! Back then the flashing graphics left me stunned. I had to get this game I told myself… but how… My mother only ever played Starcraft. How was I going to get her to let me get counterstrike? I spent a whole week planning on how to get this game. I finely figured it out. Kids do NOT try this at home! I conned my mother into getting me a game, I don’t remember now what game it was, however it was a game nonetheless. We went to our local game store and I picked out the most child friendly game I could find. She agreed and we went to the front counter…. just not before I grabbed counter-strike off its display case! The games were both new and expensive at the time. Like a ninja I handed the Clerk both games. My mom was busy looking at something shiny I had distracted her with. It was a mouse with a side button. I told the guy at the store to leave the child’s game. He placed it aside and put Counter-Strike into a bag. I had done it! My mother bought a mouse and unknowingly, counterstrike. When we got home, I raced to the computer, and installed it. Now, years later, 8 to be exact, I have over 2,000 hours clocked into Counter-Strike source, and just less than 600 for the 1.6 series. As the series left 1.6 and went into Source, I was thrilled! Die Hard Fans of CS:S will know and understand what I’m about to say. In the last few years counter-strike has lost interest or has been dead. With mostly surfing and other shanty custom maps and mods, as well as the infamous update that broke the learning curve and placed itself in the orange box, Tactical Intervention was a ‘New Hope’. Of course, this game isn’t counter-strike, but rather a new title altogether, however, it’s still Counter-Strike 2; in my book! 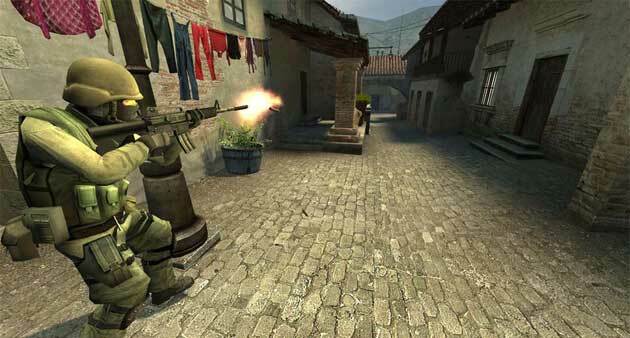 Do you have a story with counter-strike? Any comments or thoughts? Tell us in the comments section below! If only, if only my computer would be gracious enough as to let me actually run Tactical! Ah no! That’s a terrible problem to have… is it your graphics card that’s holding you back?